Nations Press health ATTENTION; Have a Healthier Heart, Lower Risk of Cancer by Eating Eggplants Everyday! A Must-Read! 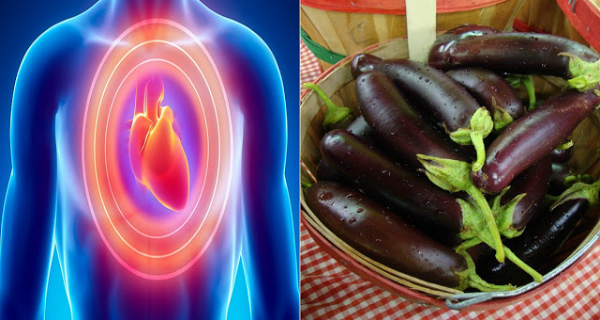 ATTENTION; Have a Healthier Heart, Lower Risk of Cancer by Eating Eggplants Everyday! A Must-Read! antioxidant phenolics they found in other eggplant types. Phenols are known to prevent cancer development and heart disease, but it's these very attributes that give eggplants a slight bitter taste. Sometimes, the leaves and roots are juiced or boiled to make a tonic for throat and stomach troubles, asthma, skin diseases, rheumatism, inflammation, intestinal hemorrhages, foot pain, coughs, anorexia, toothache, or as a general stimulant. In purchasing eggplants, choose the dark purple to almost black. They should be firm and free of imperfections. Avoid cutting eggplant prior to storing it as it will spoil quickly after the skin is punctured.